​​In addition to Ouiwey's eclectic collaborative roster he has also channeled his creativity into the following projects: lead vocals for the game Donkey Conga, Theme song for New Jack’s Backyard Wrestling, Music for Digimon: The Movie, vocals for various Japanese Anime, Too Cold Scorpio WWE ECW wrestler: The Album, Cincinnati Bengals Theme song, The Record Producer Reality Show: Bradley Spalter. In 2006 Ouiwey partnered up with David Brooks (DPB) to work with a youth event known as the Basement. Over a 3 year time frame Ouiwey mentored, trained, and supported staff in the aspects of media & music with a concentration in video production, music production, web design, and graphic design. He also produced a reality show which aired on CW locally. In 3 years the demand for the Basement program grew from 400 to 8000 due to the efforts of Ouiwey & DPB. These Basement sessions were conducted weekly on Tuesday's in an effort to consistently serve the population. Following the Basement project Ouiwey went to Japan for 3 years and performed 6 nights a week with his band in Live houses. After completing his North American tour he returned to the United States at which point in time he started traveling with his father on tour from 2011-2015. 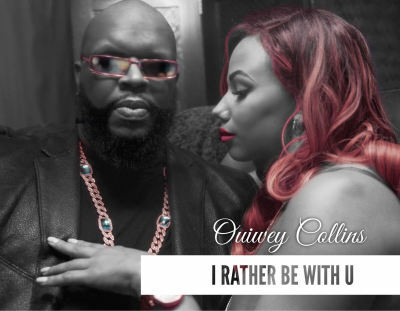 In 2016 Ouiwey Collins shifted his focus to work on his album and resume working with his band. Ouiwey is currently in the process of working on his album and has connected with Marilyn Gill Executive producer at BET. 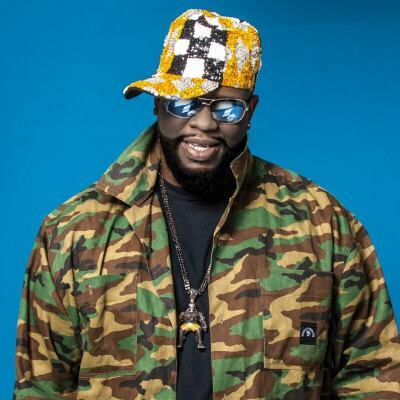 Patricia Collins, Bootsy Collins, and Ouiwey have been approached to be featured in a Reality show which is currently in the final stages of the contract phase. 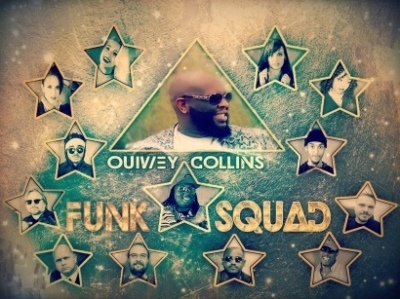 The designated film crew will follow Ouiwey Collins and the Funksquad on their journey.